"Common carriers" include buses, trains, and airplanes. The laws governing common carriers are both Federal and State. Bus accidents can occur, and you need an experienced attorney to help and assist you with regard to bus accidents. In addition, school bus accidents take place and because they involve children, they are often quite dramatic. Also, school buses do not generally require that children wear seat belts. When a school bus gets into an accident, it is newsworthy. Unfortunately, a large percentage of traffic fatalities involve school transportation related accidents. Further, school bus accidents can result in serious injuries and death to young children. Cases involving injury or death to young children are particularly complex legally because of the difficult nature of proving the extent of the injury, securing testimony from youngsters, and the element of damages is often difficult to quantify. What is the value of a child's health? What is the value of a child? These are very difficult questions and they require careful analysis and representation. 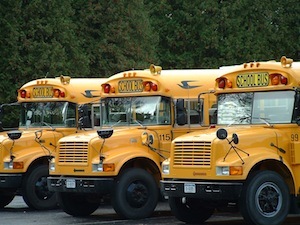 At Attorneys Jo Ann Hoffman & Associates, P.A., we use our decades of experience to carefully handle any and all school bus accidents or other bus accidents to investigate every possible defendant and to ensure that you receive proper compensation for the case. There are also special statutes of limitations, elements of sovereign immunity, and other complicating factors. If such an accident has befallen you or a loved one, please immediately call us to see what can be done to protect you and your family.